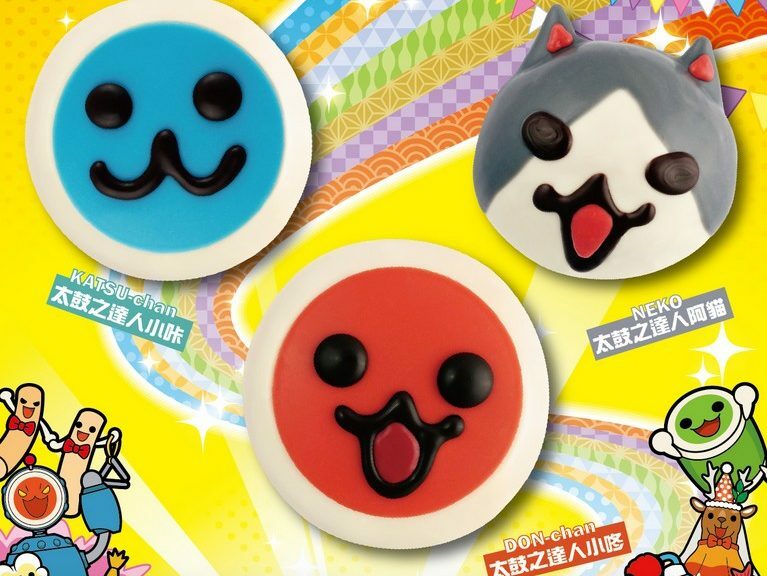 To celebrate the launch of Taiko no Tatsujin: Nintendo Switch Version, Krispy Kreme and Bandai Namco Entertainment have teamed up to release Taiko no Tatsujin design doughnuts in Taiwan. 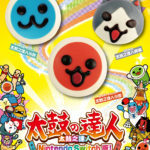 Three flavors and characters are available – Don-chan (strawberry), Kat-chan (custard), and Cat (red bean milk). 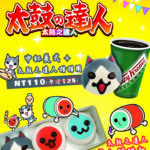 One doughnut goes for NT$50, while an entire set of three costs NT$130. 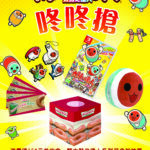 If you purchase NT$150 worth of doughnuts at Krispy Kreme (transaction must include one Taiko doughnut), you’ll receive an opportunity to enter the Taiko no Tatsujin lucky draw, where prizes such as a copy of the game and Nintendo Switch are up for grabs. The Taiko no Tatsujin Switch campaign at Krispy Kreme runs from July 16 to July 31, 2018. Don’t miss out!